Innovative designs coupled with the precise application of technology have transformed “Office of Contemporary Architecture” starting from architectural practice to interiors, furniture, and landscape designing. Our “Every Building Tells a Story” philosophy emphasizes one-of-a-kind design solutions and perfectly complements our desire to engage clients in a collaborative, team-oriented process. That’s why our clients and community members on nearly every corner of India partner with us to design healthy and happy spaces. Since 2008, Ar. Aditya Agrawal and his team believed that design has the power to make the world a better, more beautiful place. Together with our clients, we aim to understand the project vision and the story they want to tell. The passion and love for art and architecture keep us going. A rigorous design process is adopted wherein the project is taken up with a 360-degree approach. We believe in our processes and our ideas, and no efforts are spared to get the right feel to the project. The approach of holistic philosophy has enabled us to provide our clients with a more thoughtful, collaborative design process, one that merges all aspects of the project. Our attention to detail leads to spaces that lift morale, and help to control business operational costs, inevitable resulting in more beautiful and functional spaces. We involve in the project right from architectural conceptualization to interior designing. Special emphasis is given to design with respect to climate, contextual solutions, use of design fundamentals and appropriate use of materials. We make sure that each element, be it the form, the function, the branding, the interiors go in sync with the basic idea. From the set of drawings to finalizing material palette, lighting design fixtures, fittings, and appliances enables our work to stand out due to the detailing on each and every aspect creating well-designed spaces to lift and inspire the spirit. Being detail on point, completion of documents and other economical aspects our team with high qualified craftsmen, manifest and leave no stone unturned in finishing the projects before the committed date and time. The final selection of furnishings is done to simultaneously to speed up the process. After all our quality checks, and regular site visits, the handover day is the most awaited award for us. Artifacts being the final touch, our photo-shoot and the happiness on the client’s face make it all worth the effort. Aditya’s optically rich interiors are built essays in spatial composition. 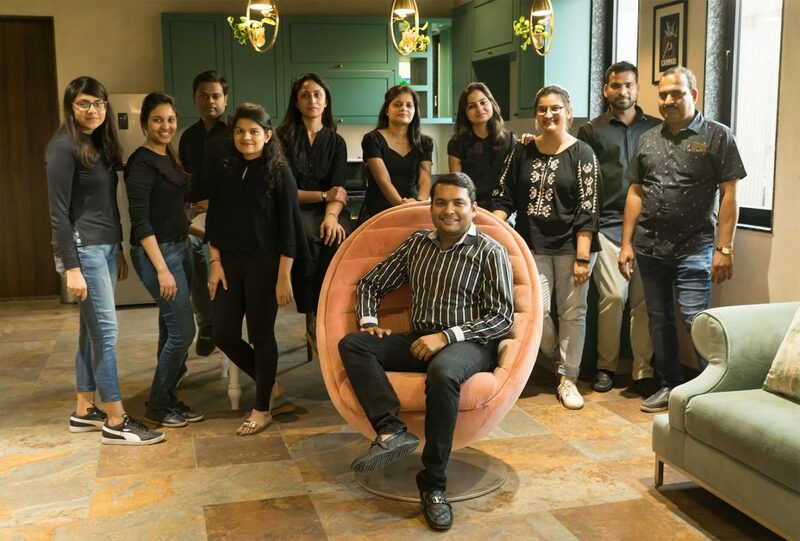 Along with his firm strength of 30+ designers including architects and interior designers with 300+ craftsmen working and evolving design solutions that are contextual and creating spaces that revolutionize the way they are experienced from the essence of the firm’s design philosophy.